Hosting a party on your own can send even the most organized parent into overdrive. Just figuring out where to start is daunting. Hiring an event planning service can take the stress out of the big day. Find the best services in Georgia by using our guide. Scroll down to see the benefits of hiring a professional versus doing it all on your own. We know what you’re thinking: Do I really need to hire a professional? After all, you’re pretty savvy, and how hard can it be to plan a party for your child’s friends anyway? 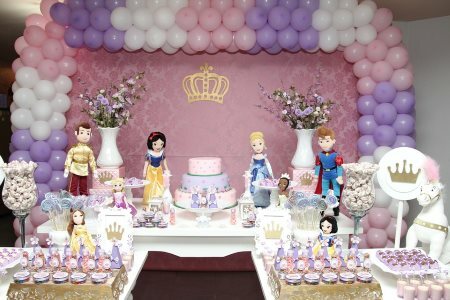 While the DIY approach will usually suffice for toddler birthdays or family gatherings, what about parties that need extra glitz and glam, such as a mitzvah or sweet 16? 1. Budget: One of the most difficult and stressful aspects of planning an event is staying within a budget, or creating one in the first place. Typically, the first question a party planning service will ask you is “what’s your budget?” From there, they will help you set realistic expectations about how to create the party of your dreams without exceeding your cost ceiling. 2. Time: Busy parents barely have time to breathe, much less plan the quinceanera of the century. When you hire a party planner, it is literally their job to, well, plan your party. Hire a professional who will take care of every detail from start to finish. 3. Connections: Why try to contact the caterer, DJ, decorator, venue, transportation service and entertainers on your own when your event planner can do it all for you. Most event professionals have an extensive network of trusted vendors that they’ve worked with for years. Oftentimes, these vendors will offer competitive rates when booked through the planner. Since it is their job to communicate with other businesses, a party planner can sometimes work out special offers since they frequently work together that regular customers cannot get on their own. 4. Organization: When you try to plan things on your own, even the most organized efforts can come undone due to a small oversight. Any event coordinator worth their salt will be detail-oriented, organized and conscientious. KidsParties.Party will help you find the services you need in Georgia. Contact us for recommendations and suggestions before you hire. Is Party Planning Your Business? 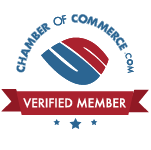 Get listed on our site by creating an account. Click here to get started right now. It will only take a quick moment of your time. Create a birthday card for the special day! You can't go to a party empty handed, but what is worse is coming with a store-bought generic card. You can create and customize your own birthday card for free, and even include a personalized birthday wish. We have handwritten wishes that are 100% unique for girls, boys, and other loved ones.